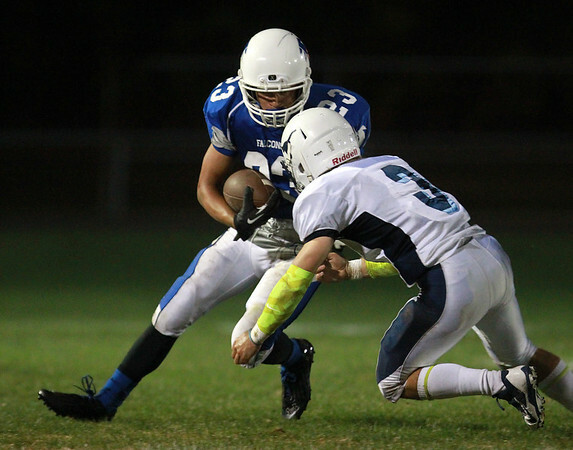 Danvers senior John Thomas (23) lowers his shoulder as Peabody senior captain Ryan Collins (3) tries to bring him down on a kick return. DAVID LE/Staff photo. 9/27/14.